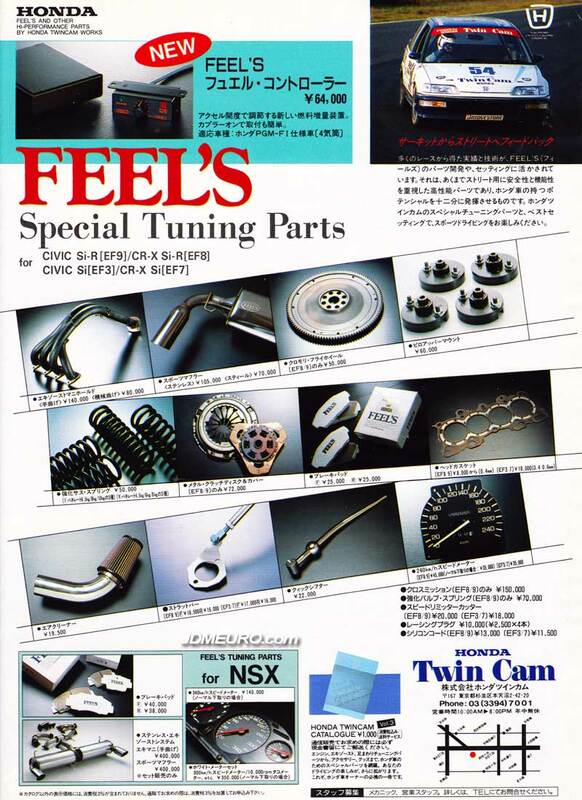 Feel’s is a Tuning Firm in Japan specializing in Honda Automobiles and is also known by Honda Twin Cam. 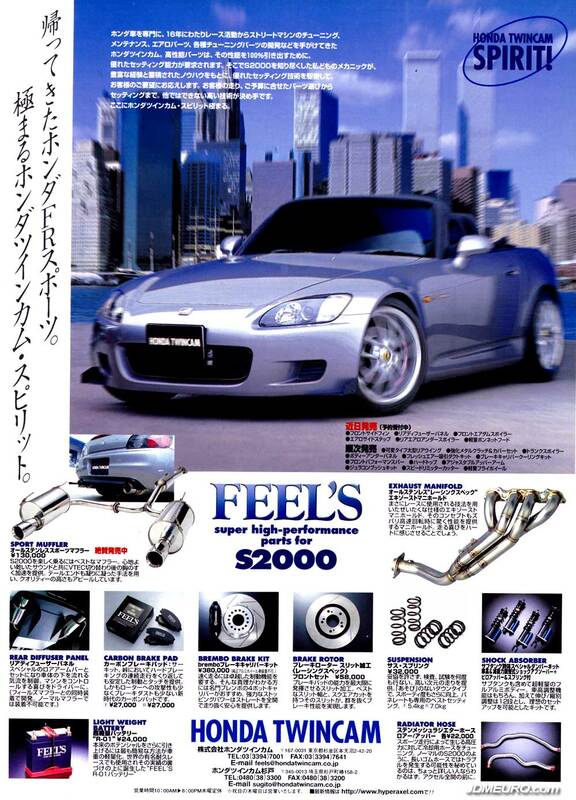 This ad shows tuning parts for Honda S2000 Ap1. Shown are Honda S2000 part: Feel’s sport Muffler, Feel’s Exhaust Manifold, Feel’s Rear Diffuser Panel, Feel’s Carbon Brake Pad, Feel’s Brembo Brake Kit, Feel’s Brake Rotor, Feel’s Suspension, Feel’s Shock Absorber, Feel’s Light Weight Battery, Feel’s Radiator Hose. It appears the Honda S2000 pictured have a set of Work Weister s2r mounted.